A couple of weeks ago we were tipped to the WiFi-only Samsung Galaxy Tab possibly launching on April 4, but it looks like the device was pushed to April 10 instead and even dropped to a price of $349. You can all pick up this 7″ Android 2.2 tablet from a variety of online and local retailers, but just know that we have no idea if it will ever see Honeycomb. The price is very nice and the specs haven’t changed on this edition (our review), so if the idea of possibly never having an update is OK with you, then by all means run out and grab one. Update: Samsung realized it made a boo-boo and made sure we knew that this version still only has 16GB of internal storage. The press release has been corrected. DALLAS, April 6, 2011—Samsung Telecommunications America (Samsung Mobile), the No. 1 mobile phone provider in the U.S.1, announced today that several retail stores and Web sites will carry the WiFi-only Samsung Galaxy Tab™ by April 10, offering customers the opportunity to buy this powerful and compact mobile tablet for $349.99. 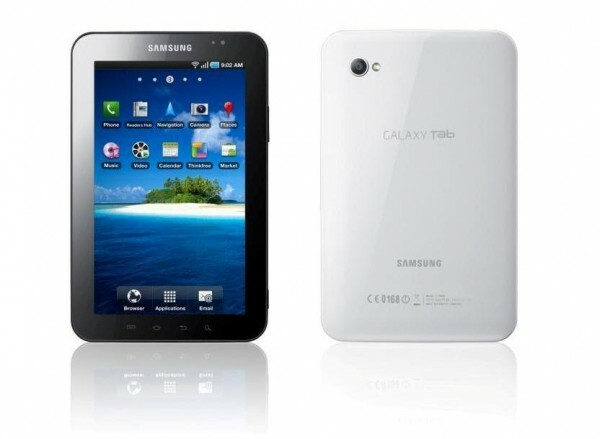 Consumers can visit http://www.samsung.com/us/mobile/galaxy-tab for a complete list of retail outlets selling the WiFi Galaxy Tab. The Galaxy Tab is powered by the Android™ 2.2 platform and has a 7-inch TFT display with a 1024 x 600 resolution. The super-light and sleek device weighs just 13 ounces, is 12 millimeters thin and easily fits in a pocket or purse. The Galaxy Tab includes 16 GB [corrected] of internal storage and offers microSD expansion to allow for up to 32 GB of additional storage. 1 Number one mobile phone provider in the U.S claim for Samsung Mobile based upon reported shipment data, according to Strategy Analytics, Q4 2010 U.S. Market Share Handset Shipments Reports.